This lesson starts by connecting your family back a bit to Holy Thursday when the Eucharist was first established, but what does all that mean going forward? Well, pretty much everything for Catholics! It is our firmly held belief that the Eucharist is the center. Thanksgiving, sacrifice, grace, community – it all (and more) centers on the Eucharist and this lesson will help us explore some of that. 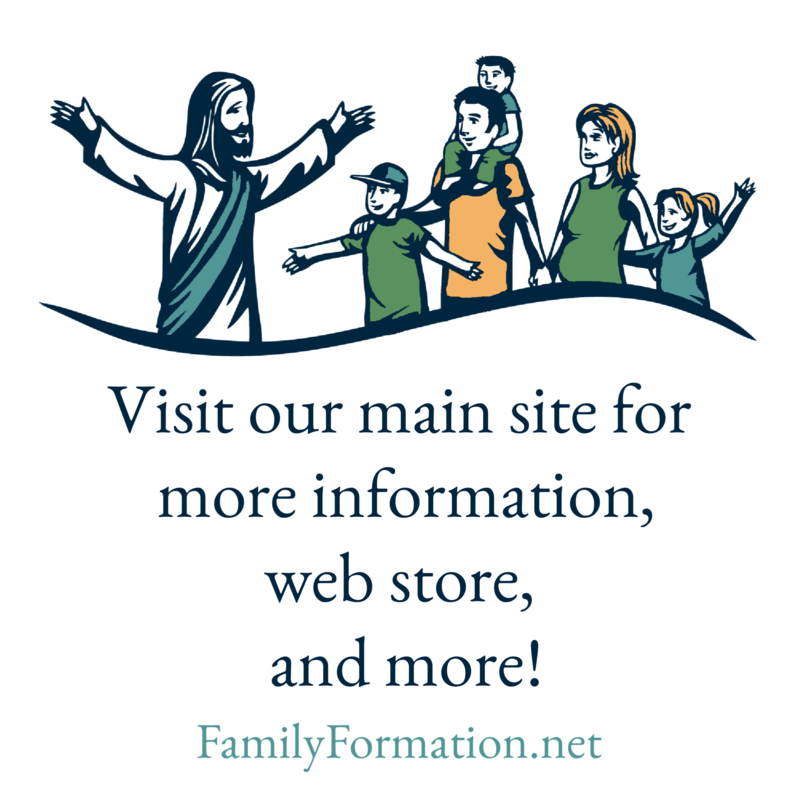 If your kids are small, you might want to just focus on the first part of the lesson, the story of little Jacinta Marto of Fatima and how she longed to receive Holy Communion. Certainly use the word “Eucharist” now and then, but you might find it’s more relevant to refer to it as the bread that becomes Jesus (or something similar). Little kids have open hearts and will often take what you tell them at face value. So by simply, and confidently, referring to a consecrated host as Jesus, you are laying a foundation of faith that will follow them throughout their lives. For the rest of the family, use the whole lesson, perhaps focusing on the SOURCE booklet activity. And for your oldest kids (and you grownups), be sure to read the Q & A About Receiving Holy Communion. There seems to be lots of confusion about it these days, and we think you’ll appreciate the clear guidelines in this section.